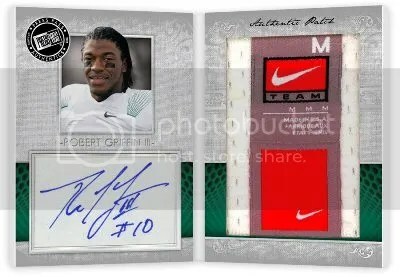 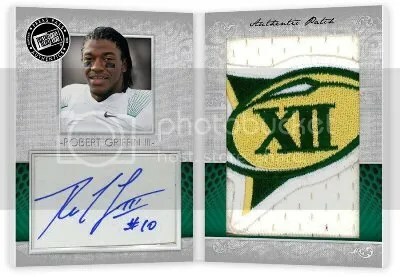 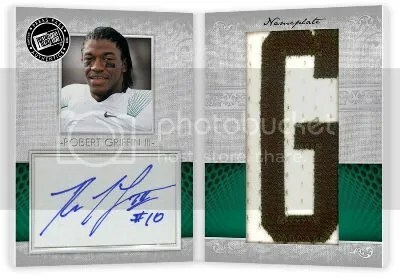 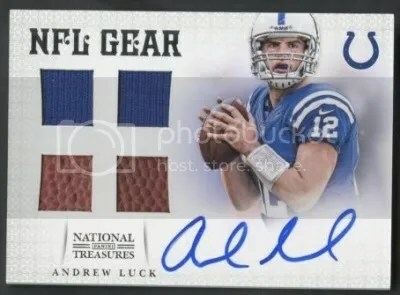 This afternoon Press Pass decided to show off some more of the Robert Griffin III and Andrew Luck autographed jumbo patch booklets that can be found in 2012 Showcase. 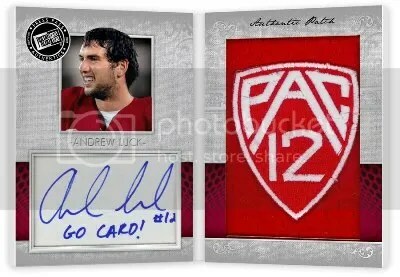 There may be no NCAA logos, but they sure look nice. 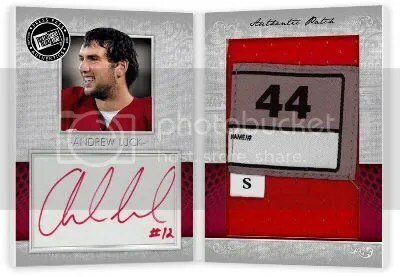 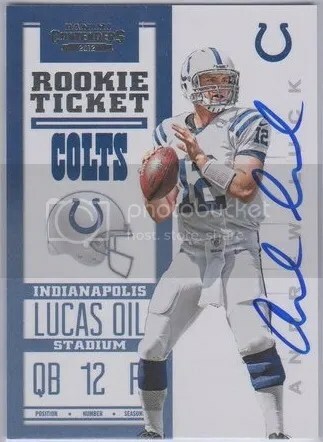 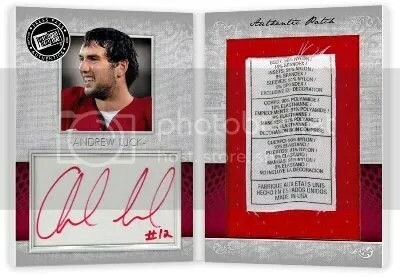 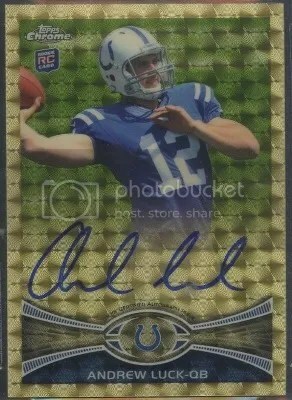 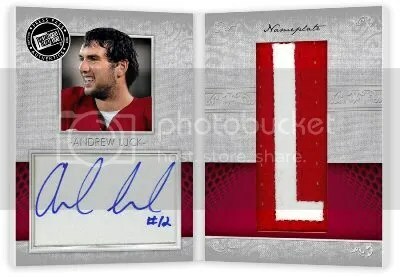 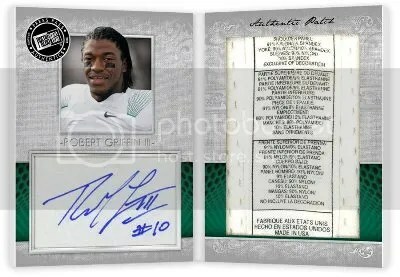 Every box of 2012 Showcase comes with (6) autographs and (1) jersey card.